Description: Since the publication of the first edition in 2006, financial regulation around the world has changed dramatically as a result of the 2008 global financial crisis. As one of the world’s leading financial centres, international regulatory reforms have had a significant impact on the legal and regulatory system in Hong Kong. 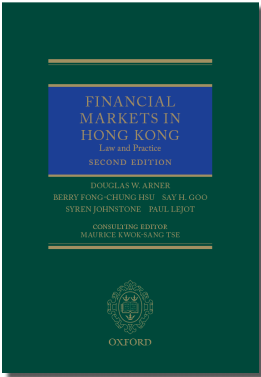 This new second edition provides a comprehensive and authoritative single-volume guide to the main areas of financial regulation and financial law in Hong Kong. Fully revised, updated, and expanded to include all new developments in regulation and case law from 2006-2015, as well as the implications of these changes to future market development. A 20% discount is now available. Click here for more details.